Kathmandu : Doha Bank, one of the largest commercial banks in Qatar, announced the official opening of its Nepal Representative Office. As part of this representative office Inauguration a Ribbon cutting Ceremony was held on 19th Dec 2018 Morning at Nepal Representative office. The key dignitaries who attended the inauguration ceremony were H.E. Ambassador of Qatar to Nepal Yousuf Bin Mohammed Al-Hail, H.E. Ambassador of Nepal to Qatar Ramesh Prasad Koirala, H.E. Nepal Rastra Bank Dy Governor Chintamani Siwakoti, Honorable Indian Rajya Sabha MP Amar Singh, and H.E. Tourism and Cultural Ambassador for Nepal and former Indian MP Dr. Jayaprada. Dr. R. Seetharaman gave insight on role of Doha Bank in Nepal. He said “We will facilitate remittances to Nepal from Qatar based on tie ups with local banks in Nepal. 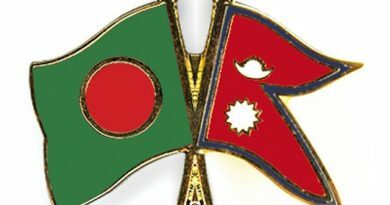 Primary business activities of Nepal Representative office would be supporting local banks in international trade business, bilateral lending and conduct other treasury businesses with local banks in Nepal. Doha Bank has three full fledge branch operations in India. We have already facilitated trade businesses and remittance services between Nepal and India through our branch network. With the commencement of Nepal office, we have established relationship with 15 Nepalese Banks that shows our commitment to this network.